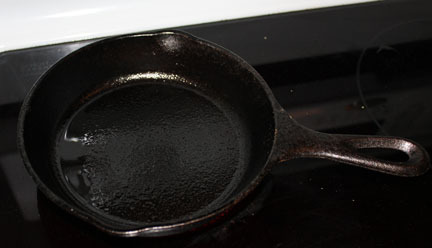 As you may recall, I have a thing for cast iron cookware. 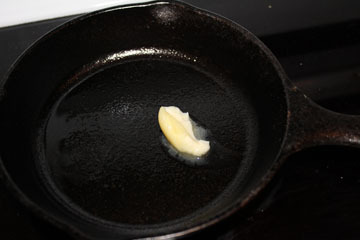 Well, this little skillet is just the perfect size for frying an egg. And I mean perfect size. 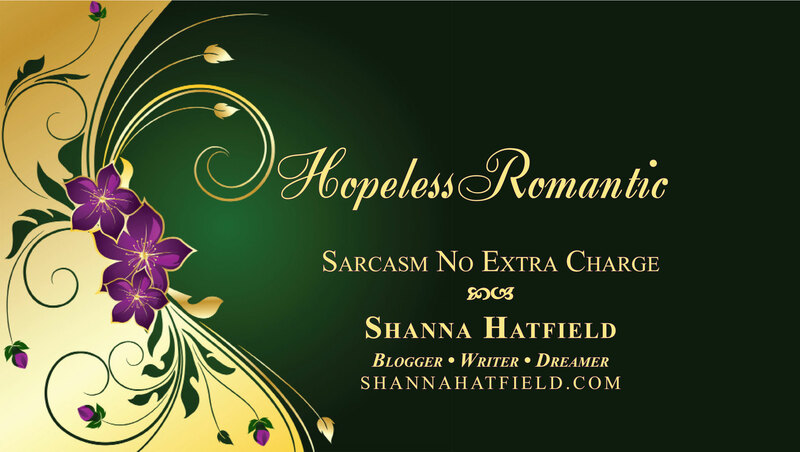 Just watch and I’ll dazzle you with my ineptitude at something as basic as frying an egg. First, get the skillet nice and hot on medium heat. Then add a dollop of butter and let it melt completely. 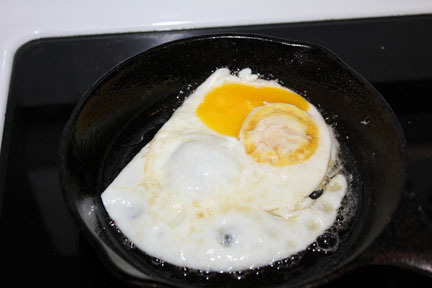 See how beautifully the egg fills the pan? It is just fantastic! If someone hadn’t been out barbecuing dinner he could have taken photos or at least testified to the fact that I totally flipped the egg over by loosening it from the pan and giving it a quick toss in the air. 2. 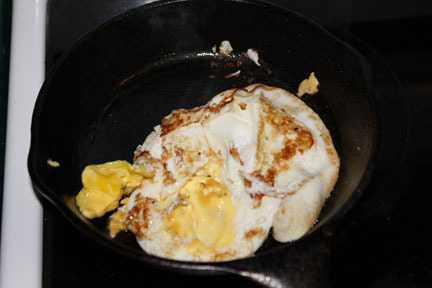 That I didn’t have half-cooked egg all over my stovetop. 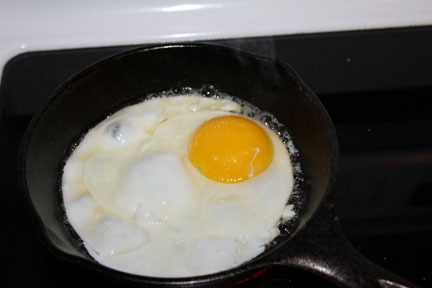 Anyhow, the skillet is just a wonderful size for frying an egg. And if you don’t get distracted like me by the smell of barbecued meat and Captain Cavedweller waiting impatiently to eat dinner and let the egg cook a little too long, it will turn out perfectly beautiful fried eggs.